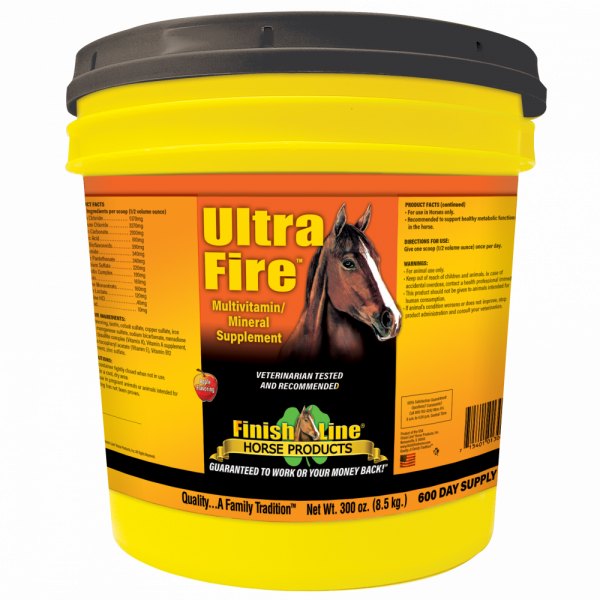 Ultra Fire™ is a very complete multivitamin and mineral supplement for horses. No fillers, no sugars and no artificial colors. 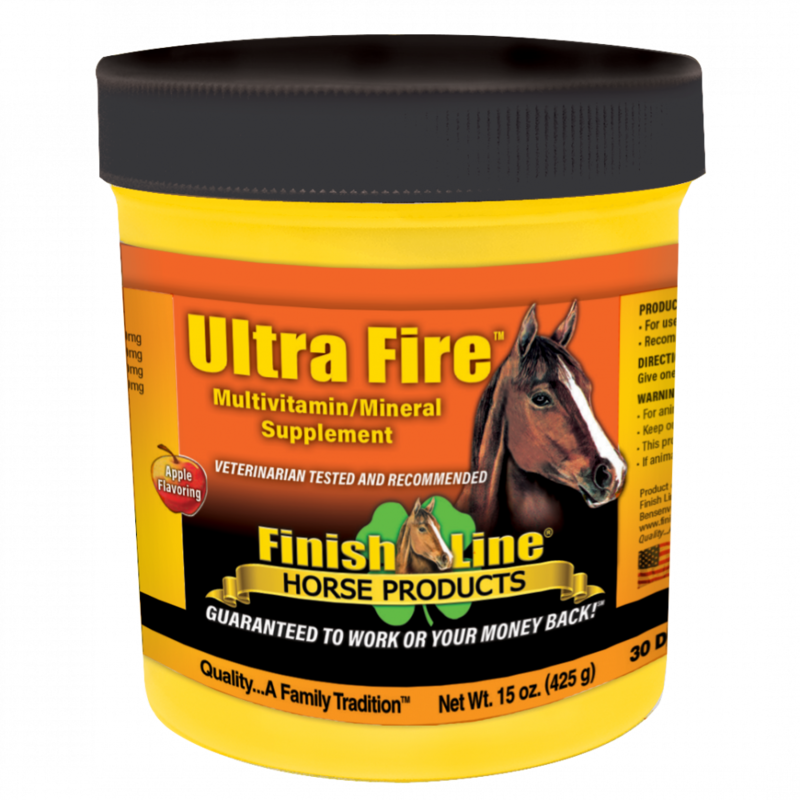 This powder supplement is a full B-complex product that promotes health in many systems including: muscle, energy, hydration, blood, and more! 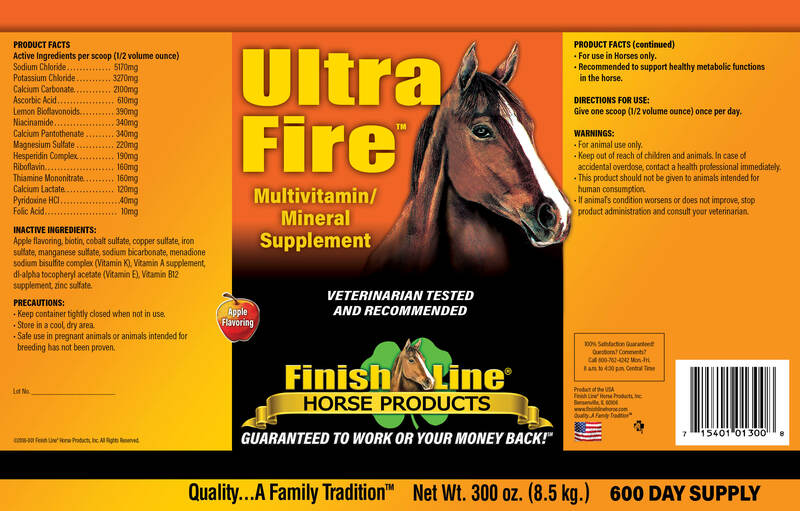 Contains 12 vitamins and 11 minerals/salts. 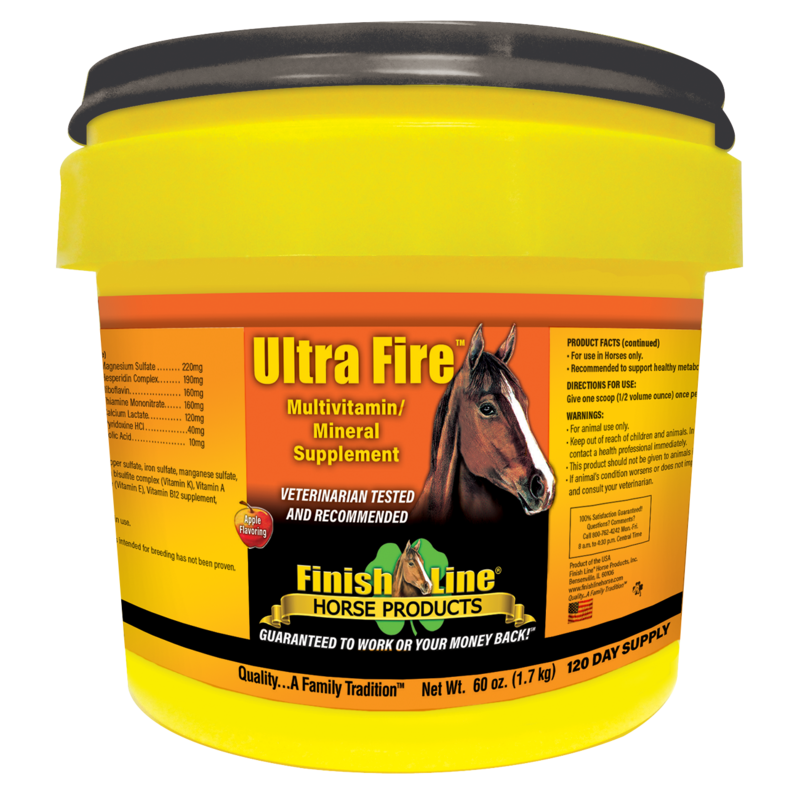 Ultra Fire™ is an award-winning, multi-vitamin/muti-mineral supplement that promotes health in many systems of your horse including muscle, energy, hydration, blood and more! Contains 12 vitamins and 11 minerals/salts. LOL the name of this product can be deceiving. For the longest time, I thought it was to pep up a sluggish horse (and it will do that because the horse starts getting everything he needs), but for a nervous horse (which my friend owns), it has the opposite affect that the title states…it has calmed her horse down considerably and he seems to have a much more even keel to his personality. 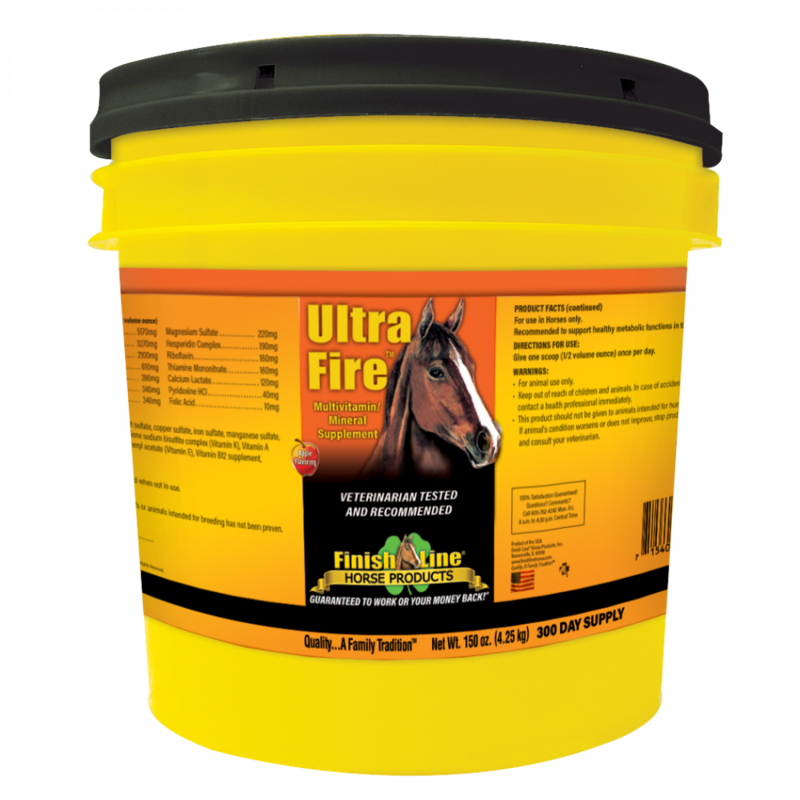 I feed it to my horse to make sure he gets all the vitamins and minerals his grain and hay do not provide, not to mention the amazing coat benefits (paired with Feet First, Coat 2nd). People think I am constantly brushing on Winston but I actually do not brush him as much as his coat says I do hahaha. This is such a great product and you will do a wonderful favor to your equine partner to put him on it.